Well what an interesting few days I have had since my last post. 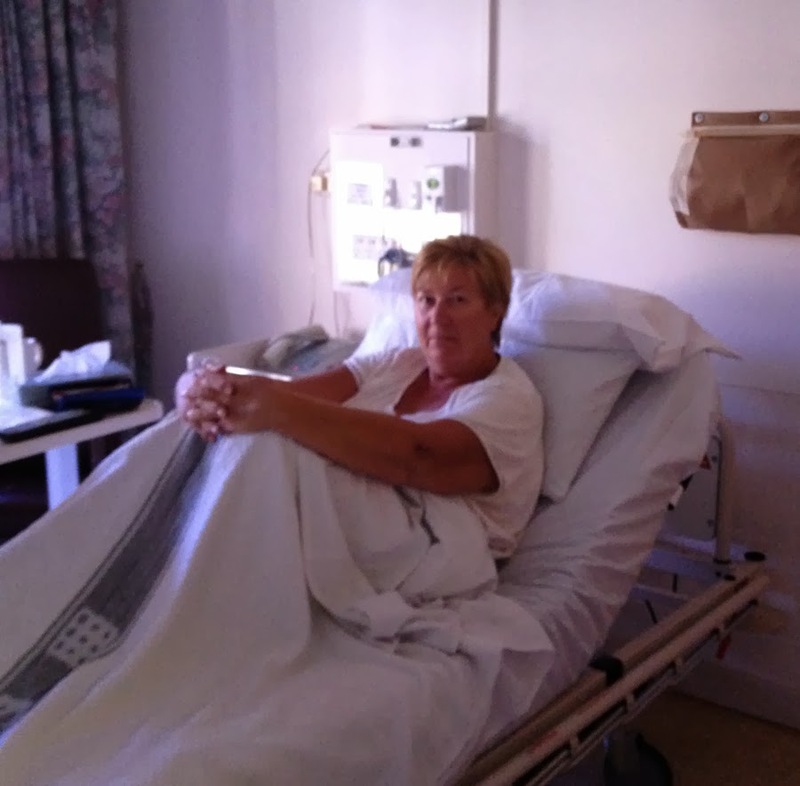 After having ringing in my ears for about 5 days I ended up spending our last night in Port Broughton in hospital. I came down with a bad episode of vertigo, which in turn had me throwing up violently. Shane bundled me up and got me to hospital. It was really weird as I couldn't walk straight no matter how hard I tried. They think it may be caused by a middle ear infection, but not sure. After getting and injection to stop the ringing, dizziness and vomiting and spending the night in Port Broughton hospital I am now OK, although my ears are still ringing. 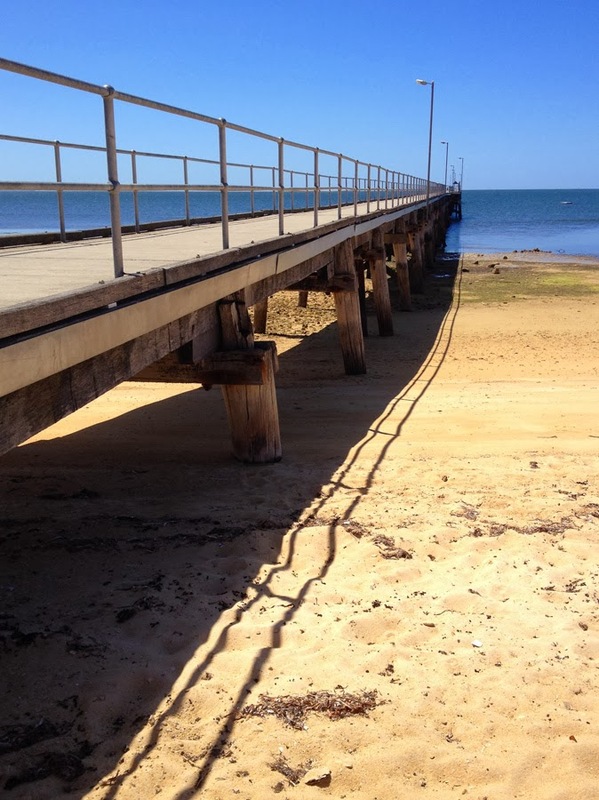 So we are now on the East side of the Yorke Peninsula in another seaside village called Ardrossan. At first I was a little bit apprehensive about coming to the Yorke Peninsula. After reading the tourist brochures nothing really grabbed me. 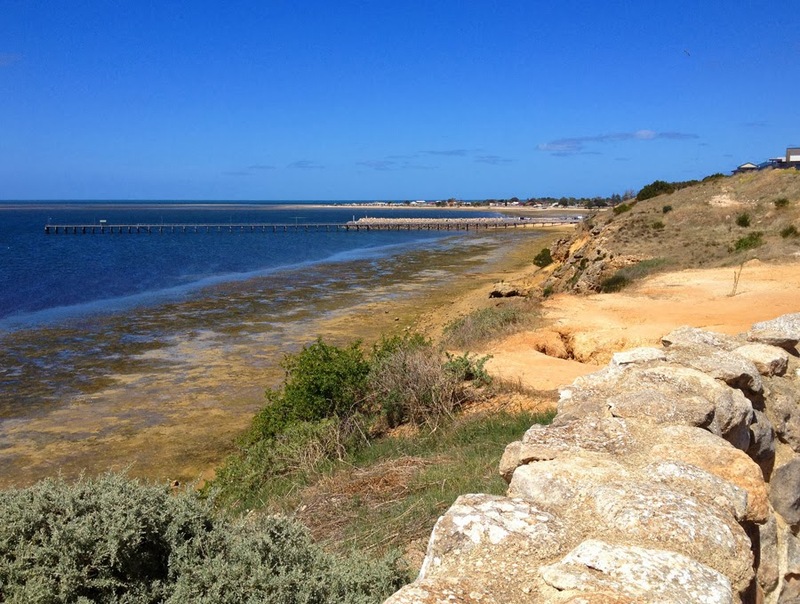 But after having time here I now see why it is popular with South Australians, it is a really pretty area. It has some lovely small villages, spectacular scenery, beautiful countryside and coastline. Ardrossan is a thriving seaport with a population of about 1100 people. With an abundance of blue swimmer crabs, great fishing, shipwrecks and an interesting history it is no wonder it is so popular with tourists. Yet another Wharf! This one has been good to us. 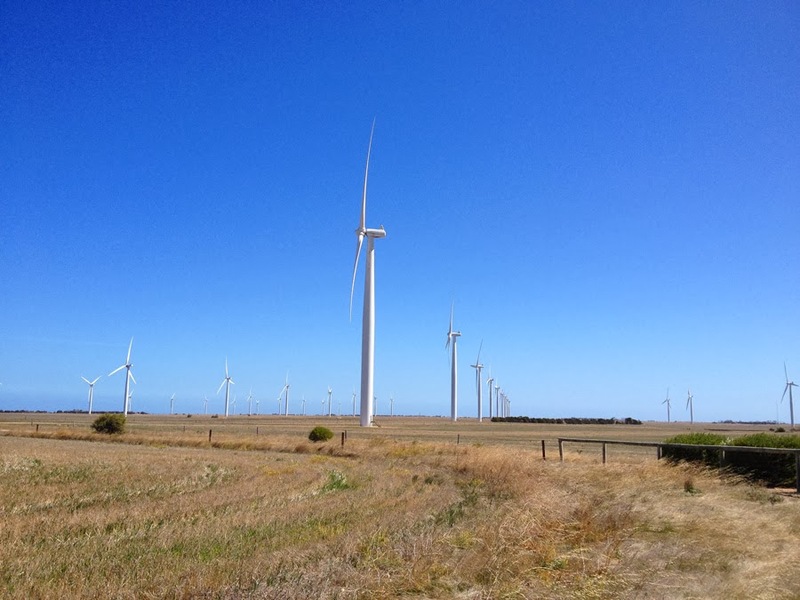 it was the biggest wind farm in Australia with 91 megawatts. As this weekend is a long weekend in some Australian states this peninsula is pretty busy. We have visited some of the normally quiet little settlements and even though there are a lot more people around they are still delightful. 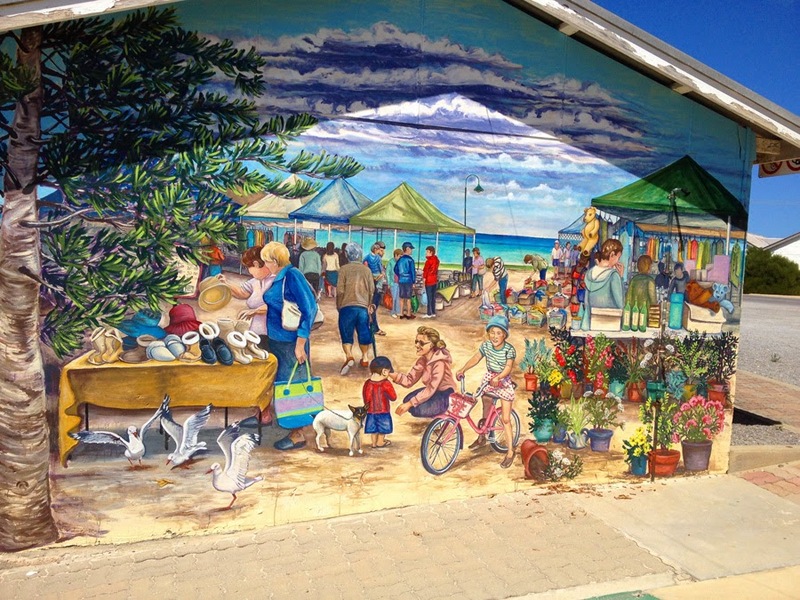 Today I spent the day in one such village, Stansbury at the Stansbury Seaside Market. Due to a cancellation, I was lucky enough to get a spot to have a stand with my jewellery. 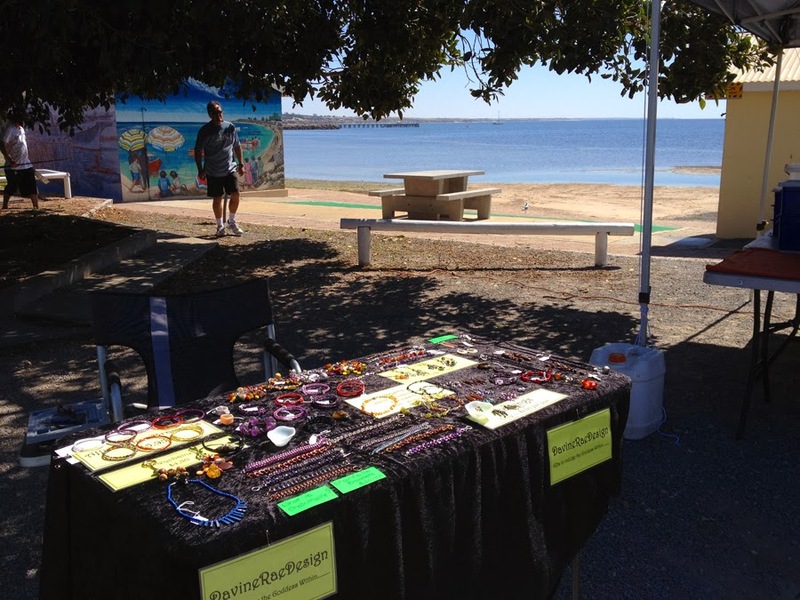 It was a glorious day, not a cloud in the sky, the sun beaming down, but not to hot, the beautiful blue ocean beside me and having the privilege of sharing my jewellery with the masses. The market was quite busy and I had a fairly successful day.